The Soup Meister wins Readers Choice Award! 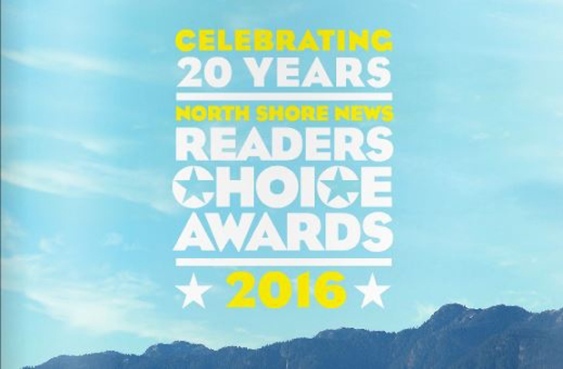 Every year the North Shore News conducts its Readers Choice Awards for best in class. The North Shore News asks its readers to share their favourite places to eat, shop and play. In 2016, over 5,000 votes were cast and The Soup Meister won 1st Place in the category of best Meal Under $10. Thanks again to all of you that voted. We are humbled and grateful for your support over the years. We’d like to recognize our awesome staff for their hard work, dedication and commitment. Without them, this award would not be possible. We’re so glad you enjoy our soup and we’ll continue to produce nothing but the best! And… we’ll do our best to keep it under $10! 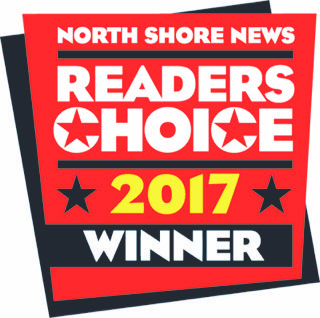 Ralf Dauns received the award at the 20th Annual North Shore News Readers Choice Awards winners reception that was held at North Vancouver’s The View on Lonsdale. Earlier this year, our very own Soup Meister was featured in the print and online versions of Driving.ca. It’s a fun article that shares Ralf’s “love of cooking with a passion for performance automobiles”. That’s how Ralf Dauns sums up his passions. Born in a small German town, the Soup Meister, so named for his soup counter in Lonsdale Quay, has spent a lifetime cultivating all three. The cooking part is in his genes. The friendships are evident to anyone who has met the affable master chef, either stirring the pots at Soup Meister or in a social setting. So it’s only fitting that we’re in a fantastic German vehicle for a spin around Dauns’ hometown of North Vancouver. Along for the ride this Sunday afternoon is his granddaughter Katie, a 9-year-old who, Dauns happily reports, enjoys driving fast just like her Opa. Do you love our soup? vote by November 22 and vote for The Soup Meister.